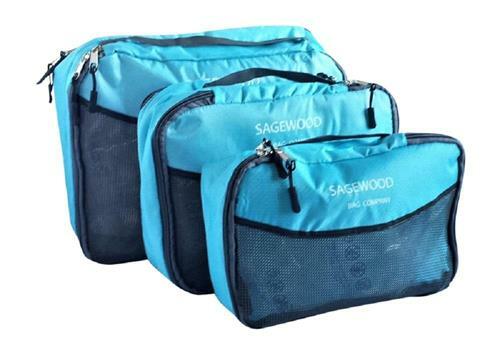 This product is our very own brand: Sagewood Bag Company. Get travel tips from experienced travelers with our Packing Light Booklet Learn safety tips for your money and your documents. See photos for details. Our travel guide has been compiled for our own experiences from travels abroad and in the U.S. Packing cubes help us have a less complicated trip and stay organized. The medium and larger sizes are two sided and all sizes have a webbing top handle.